Company officials say the legislation fulfills the goals of both companies, along with the solar industry, environmental and consumer groups. The companies had previously been pushing their own legislation independently, competing with a third proposal from the Clean Jobs Coalition. Experts say legislators are unlikely to pass a bill during the session that ends this month; and also unlikely to pass a bill that doesn’t have the support of all the major players. 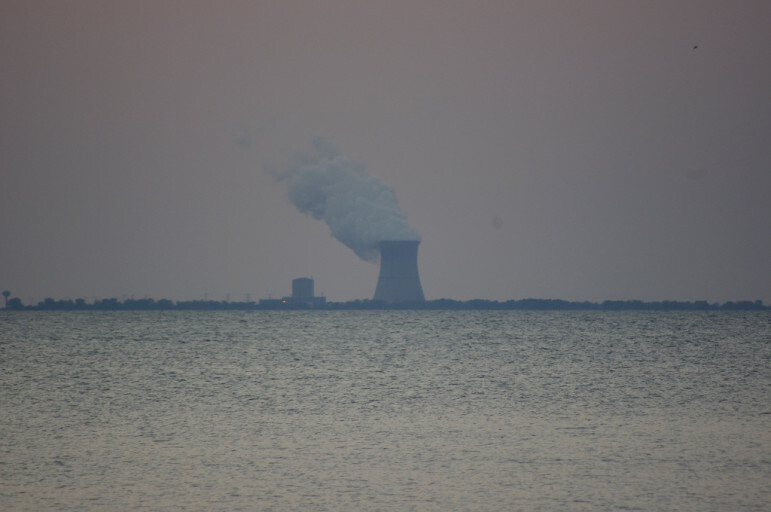 During a press call Thursday afternoon, Exelon and ComEd officials insinuated that their Next Generation Energy Plan does indeed fit that description. They mentioned the Environmental Defense Fund and Citizens Utility Board, and described the bill as meeting the aims of the Clean Jobs Coalition based on eight months of discussions with its members. But in comments and statements released hurriedly after the press conference, members of the Clean Jobs Coalition were hesitant. They praised the dialogue that has happened so far and said they look forward to ongoing discussions. Some also said the bill is better than proposals previously put forth by Exelon and ComEd. But the clean energy and environmental groups did not explicitly support the bill, which they had not seen in advance, and the announcement took many by surprise. Some said the new proposal still puts up serious impediments to rooftop solar development, saddles customers with unfair costs to prop up Exelon nuclear plants and fails to adequately address problems with Illinois’ “broken” Renewable Portfolio Standard (RPS). 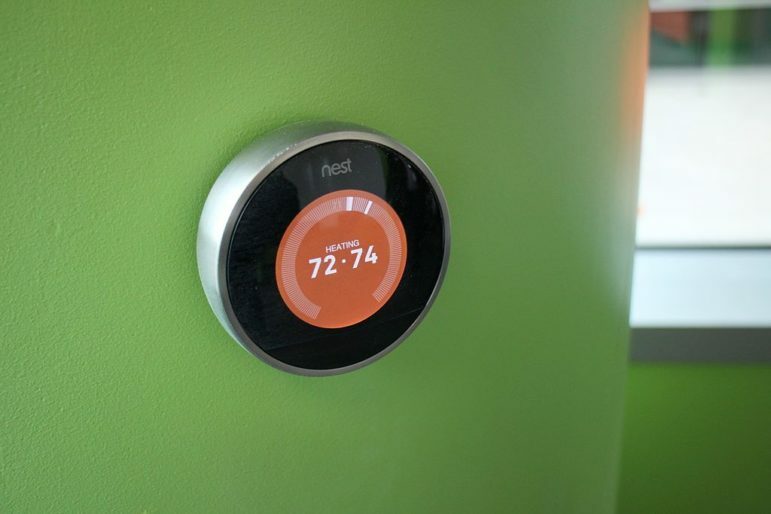 The bill significantly increases ComEd’s commitments to energy efficiency, though Ameren Illinois, the utility serving downstate customers, is not included in those provisions. “We were not involved directly in the drafting. We do not support it as is. 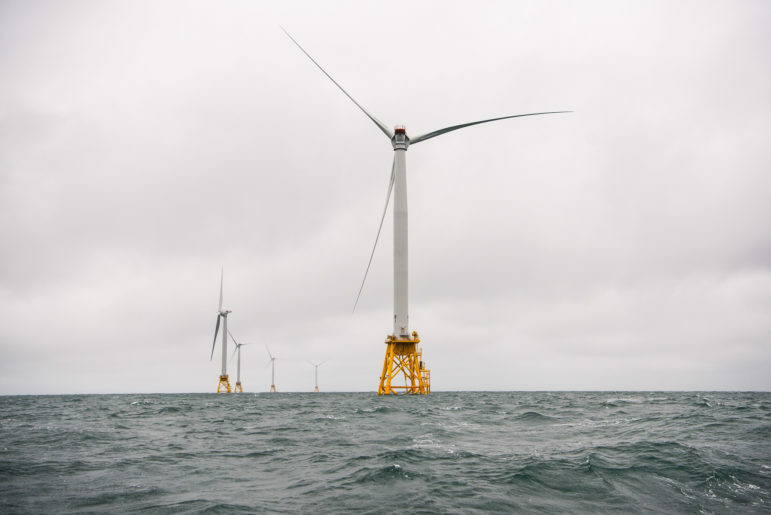 But it is significantly better than what they’ve introduced before and is really strong on efficiency,” said CUB executive director Dave Kolata, noting that EDF, the Sierra Club and the Natural Resources Defense Council have the same position. A better bill or another bailout? The bill includes supports for the two Exelon nuclear plants that the company has maintained are in danger of closing if left to market forces. It calls for an independent review of the plants’ financial prospects, and if “available market revenues are insufficient, the plants will be eligible for compensation for their zero emissions attributes,” as described by Joe Dominguez, Executive Vice President of Governmental and Regulatory Affairs and Public Policy for Exelon, which holds its latest earnings call Friday morning. 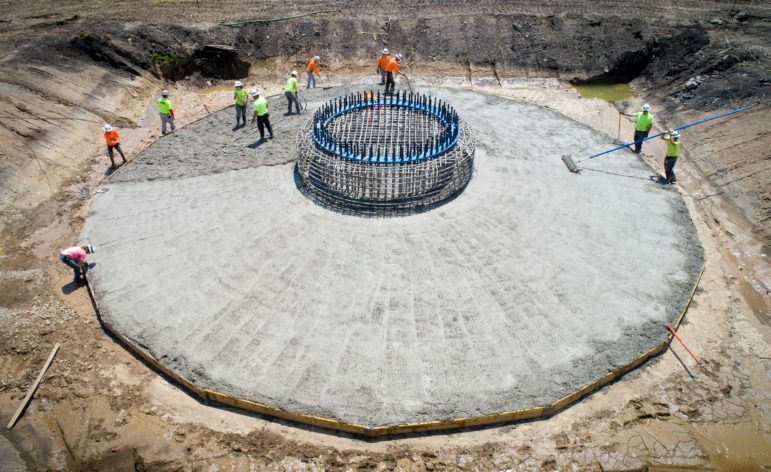 Previously, Exelon had asked for guaranteed extra revenue of about $300 million for its nuclear plants under a proposed “low carbon portfolio standard.” The new proposal is based on a plan crafted for New York’s nuclear plants, Dominguez said, and as the legislation is written only Exelon’s Quad Cities and Clinton nuclear plants would be eligible for aid. Dominguez said that customers bills would only increase by about 25 cents per month as a result of all the provisions in the bill. Dave Lundy, director of the BEST Coalition which opposes support to Exelon, said that bills will likely increase much more if the companies get their way. Previously Lundy and other critics had blasted Exelon for proposals that failed to fix the state’s RPS. This bill includes changes to the RPS that could address some of its problems and drive $140 million annual investments in solar, according to ComEd. But the bill would change rate structures in ways that solar companies and their advocates say could be devastating for rooftop solar. The bill calls for effectively ending net metering as it currently exists, and basing consumers’ bills more heavily on a “demand charge” determined by single high spikes in energy use. Nick Magrisso, Midwest states legislative director for the Natural Resources Defense Council, declined to comment on the bill’s impacts on nuclear and solar energy. He praised the energy efficiency components for ComEd and said they should be extended to Ameren. “The Coalition has engaged in productive discussions with ComEd and Exelon Generation about legislation that achieves these goals. At this time, those discussions have not concluded, and we have not yet reached an agreement. ComEd vice president of energy acquisitions Scott Vogt said that the bill would amend the state’s RPS in ways meant to drive the procurement of more solar, to the tune of about $140 million per year spent on rooftop and community solar installations smaller than 2 MW, until the state reaches a total goal of 2,000 MW of solar capacity by 2030. Specific solar projects would be determined at auctions, with the money coming from residential, commercial and industrial customers of ComEd and Ameren. Clean energy advocates said the proposed bill does address some problems with the RPS, particularly complications caused after Chicago adopted municipal aggregation in 2012 and ComEd’s customer base was reduced. But they said the proposed bill is not a true “fix” of the RPS, and some of the improvements are becoming less relevant as customers switch back to ComEd after the end of municipal aggregation in Chicago. Fidel Marquez, ComEd Senior Vice President of Governmental and External Affairs, touted the proposed bill as a way to “jump-start solar” in Illinois. On April 21, ComEd announced a new solar rebate program against the backdrop of the 10-MW solar farm that Exelon owns on the far South Side of Chicago. The rebate on “smart invertors” needed to connect solar to the grid is also enshrined in the proposed bill. 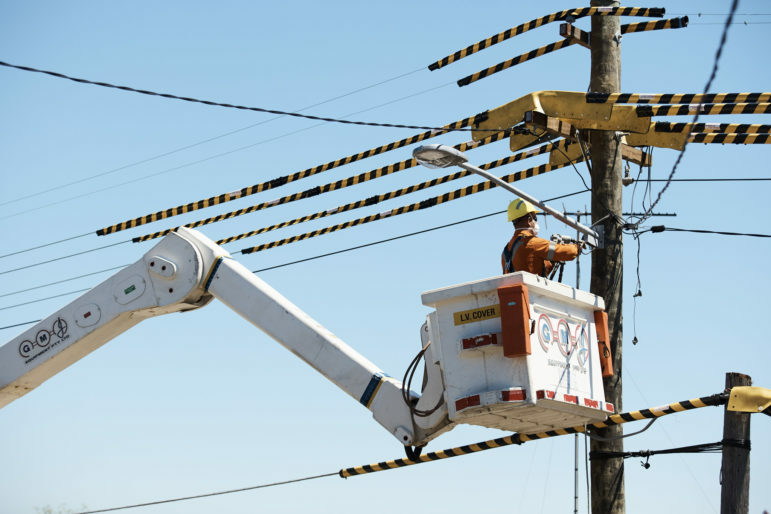 Customers can get back $1,000 per kilowatt for residential and $500 per kilowatt for commercial and industrial installations. Marquez described the rebate as a way to compensate for the changes in net metering in the bill, and said ComEd’s existing 400-some customers with solar panels could keep their current net metering agreement or opt for the rebate instead. New customers would get the rebate without net metering. ComEd is also proposing a community solar project and it is building microgrids that would facilitate distributed solar generation. The company is even sponsoring a program to educate students about the value of solar, notes a letter announcing the rebate from Val R. Jensen, ComEd senior vice president of customer operations. “We look forward to helping to create more solar customers like you in Illinois in the years to come!” concludes Jensen’s letter. But during the Illinois Solar Energy Association (ISEA)’s fourth annual lobby day at the capitol on Wednesday – the day before the bill was announced – solar installers and advocates blasted the provisions they expected to be included in the bill. 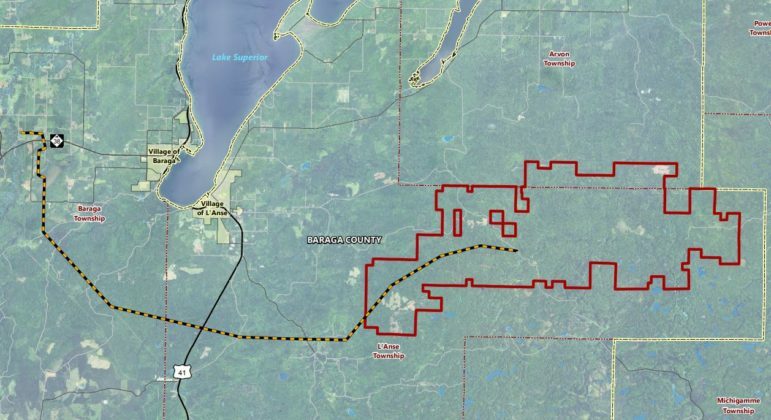 “The rate design is certainly something that people are very concerned about,” said Will Kenworthy, vice president of regional operations for the Midwest for the company Microgrid Solar. Kolata said that solar companies could be affected differently depending on their business model, and not all would suffer. A major reason so few Chicagoans have solar panels on their homes is that they live in large multi-unit buildings where they don’t control their rooftops. 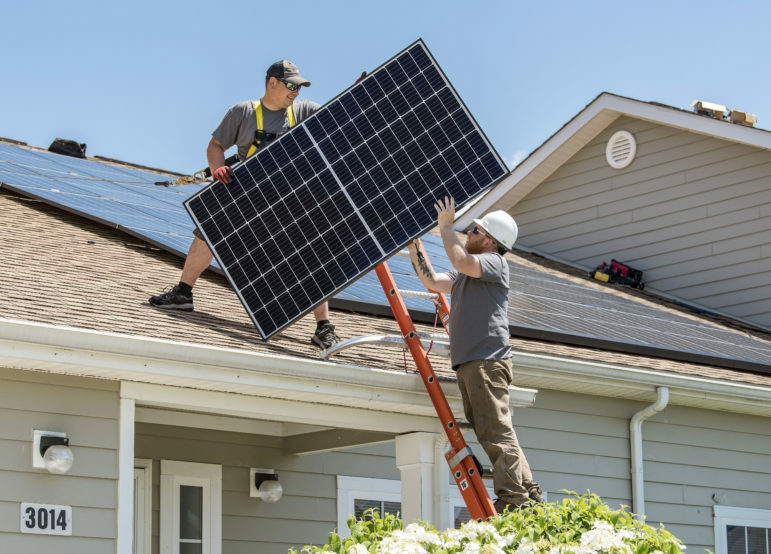 Nationwide, community solar is a popular option for such situations, since it allows a group of residents or homeowners to jointly invest in and reap the benefits of solar installations on shared rooftops or plots of land akin to community gardens. ComEd has a policy preventing net metering for community solar, meaning participants are not paid retail rate for the energy the installations send back to the grid. 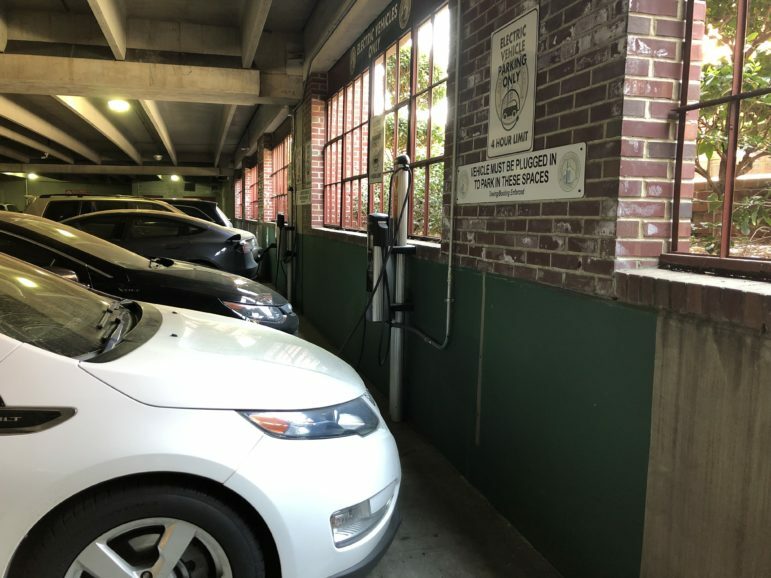 This spring a state administrative body called the Joint Committee on Administrative Rules (JCAR) was considering a rule that would have allowed community solar net metering. Chicago Mayor Rahm Emanuel supported the concept, and the Illinois Commerce Commission had adopted the rule with a unanimous order in November. He said that under the proposed bill, the issue of net metering for community solar brought before JCAR would essentially be moot, since net metering in its current form would be ended. Even as ComEd officials lauded the solar-creating potential of its proposed bill, a company fact sheet uses the same argument that utilities across the country have used to attack distributed solar installations, describing them as a luxury of the elite. “Under the current rate structure, people who do not use, or can’t afford solar, pay to subsidize solar users,” the sheet says. ISEA executive director Lesley McCain is among the solar advocates who don’t buy that argument, and said ComEd needs to do much more than what’s in the bill to truly support solar. “It appears that solar is great when the utility owns it, and can charge ratepayers for it, but we need a policy climate that allows for a wide variety of stakeholders to have the opportunity to develop solar,” she said.